It’s the sweet aroma that first greets guests walking into Main Street Honey Shoppe—a smell of honey and beeswax that hits like a jolt of sugar. Then the delicious products come into focus: a variety of local and natural specialty honeys, beautifully displayed in jars. 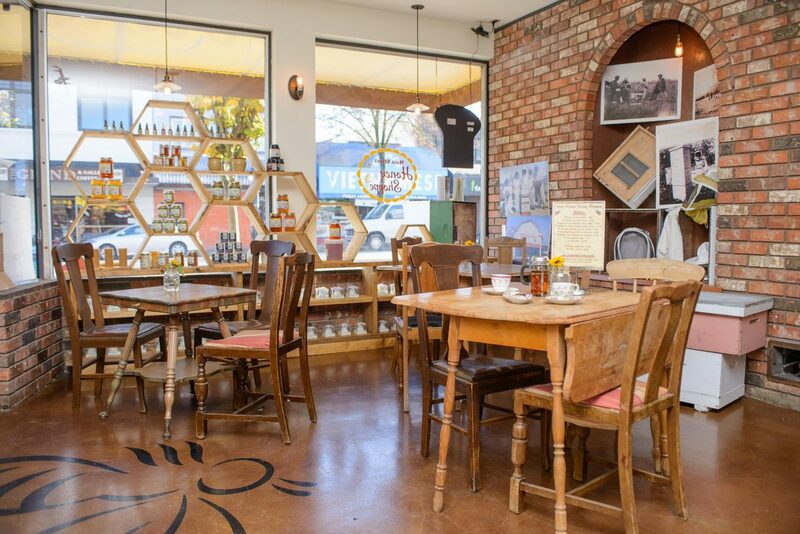 This friendly shop is the Vancouver home of Surrey’s Honeybee Centre. “It was an outgrowth,” says Tony Lovse, vice president of Honeybee Centre and owner of Main Street Honey Shoppe. 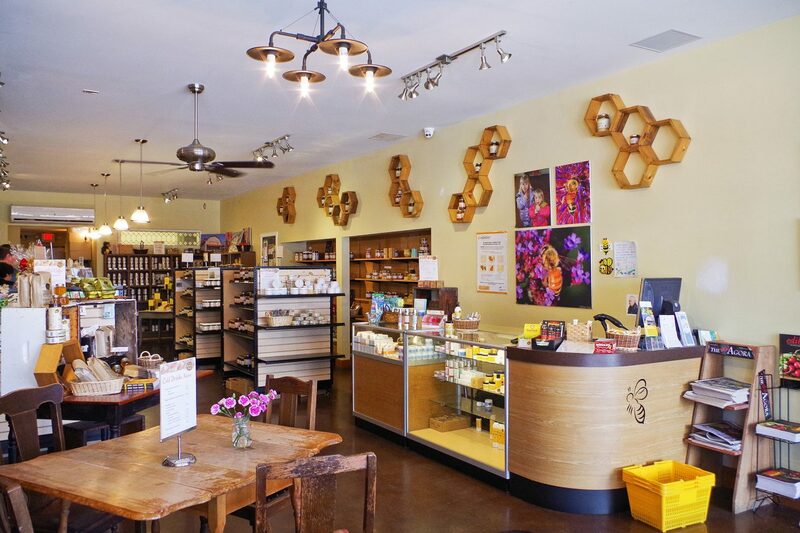 “We had lots of customers around the Lower Mainland, and it’s a long drive from Vancouver out to Surrey for a couple jars of honey.” After launching Honeybee Centre in 2002, Lovse opened the shop on Main (modelled after Honeybee Centre’s Country Store) in 2013 to accommodate those searching for pure honey from the local beekeeping operation. After ordering up a warm honey breve stringer, made with locally-roasted Republica coffee and buckwheat honey, Lovse conducts the ultimate tasting experience—something he does with every willing customer. 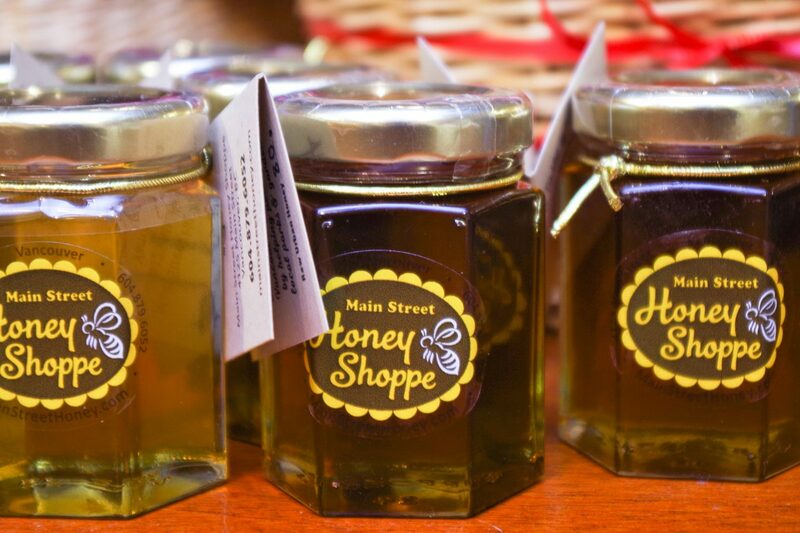 What makes both Main Street Honey Shoppe and Honeybee Centre special is the dedication to pollinate local blooms; this means residents have the opportunity to taste the flavours of different nectar sources from around the province. First up is a local cranberry blossom honey from Richmond, with a mild taste that balances a fruity tang with hints of tartness. Next is a pure and unpasteurized wildflower honey from the Fraser Valley, rich in colour, complex in flavour, and utterly delicious. The tasting continues with the “Champagne of honey”: a buttery fireweed from Terrace. “We do honey tastings with everybody and as far as I’m concerned, these are local honeys. 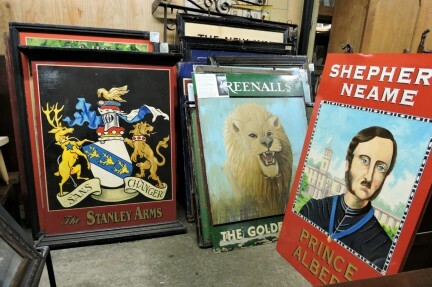 But for Vancouverites, it wasn’t local enough,” Lovse laughs. “They wanted Vancouver honey from the neighbourhoods.” For that, Lovse launched the Bees in the City program, bringing honeybee colonies into Vancouver to help pollinate parks and gardens, all while making hyper-local honey for conscious customers. Hives are set up near Sunset Park and Nanaimo Park, as well as in Kitsilano, with one hive at Bloedel Floral Conservatory that allows visitors to watch the bees at work. 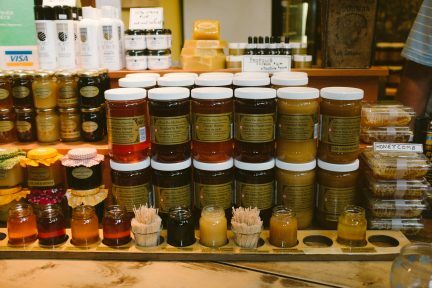 Aside from its own honey, the Shoppe sells a few artisanal varieties sourced from around the world, including Australia and France, that were ordered upon customer request. In addition, Honeybee Centre makes other natural products such as pollens, nutritional supplements, natural body care items, and 100 percent beeswax candles that are all sold at the store. Other products include lip balms from Burt’s Bees, antibacterial creams from MediHoney, and reusable beeswax food wraps from Abeego. 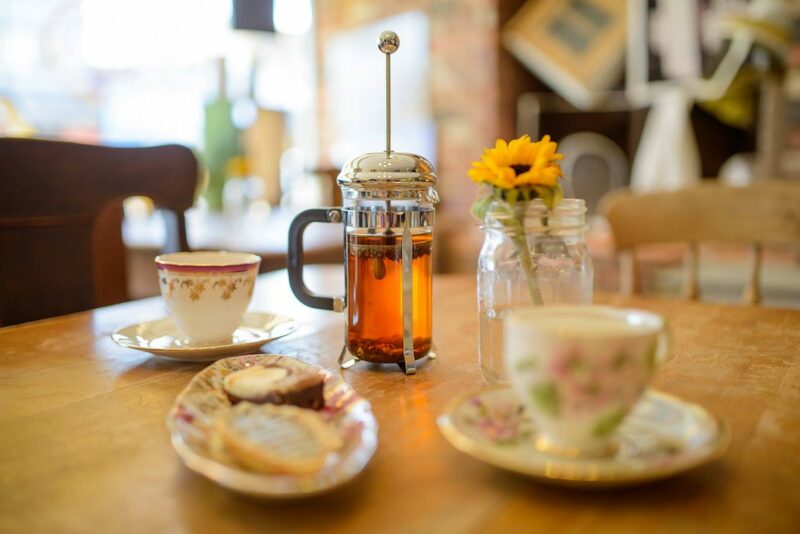 Before heading back out the door, stop by the cafe, which offers a number of coffees and teas along with baked goods like buckwheat honey spice cookies and, on the weekends, honey almond cake made fresh on premises. In support of the zero-waste movement, the shop also offers local wildflower and clover honeys on tap. 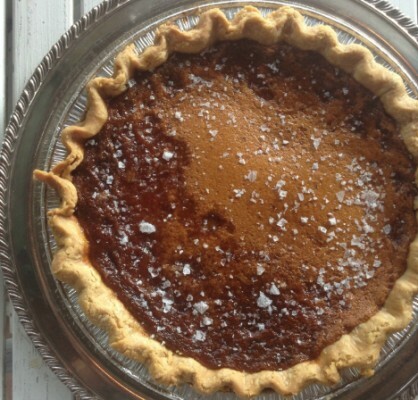 All you have to do is bring your own jar, and then you can make life sweeter anytime you want. Learn more about local Business. 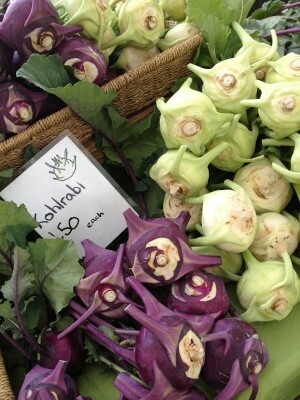 All aboard for local foods.